Make the most of your adventures in the great outdoors with OS Locate. Used alongside your Ordnance Survey map, OS Locate is a fast and highly accurate means of pinpointing your exact location on the map, anywhere in Great Britain. 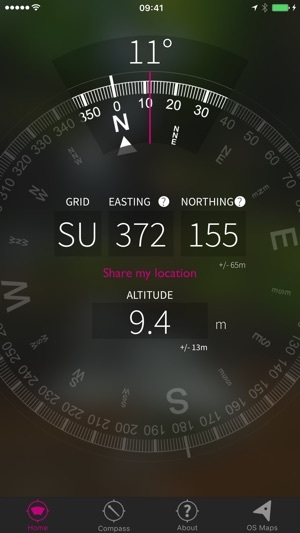 If you have lost your bearings or simply would like a little reassurance, OS Locate is the ideal companion for all enthusiasts of the great outdoors. 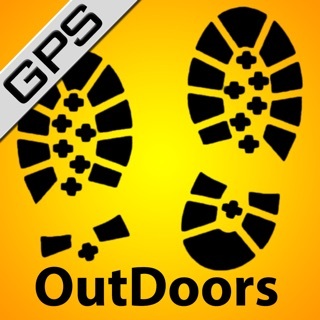 The app converts GPS location readings from your mobile phone to Ordnance Survey National Grid references, enabling you to determine precisely where you are on an Ordnance Survey map. No mobile signal? No problem; OS Locate does not require a mobile signal to function – the inbuilt GPS system can be relied upon, even in the most remote areas. 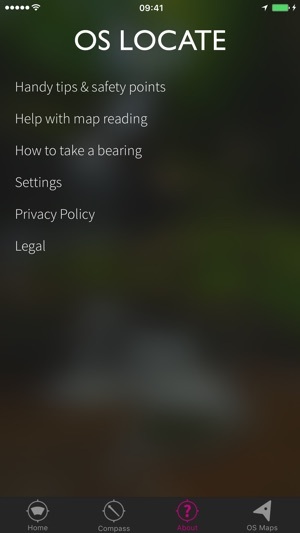 Simply download the app and switch on your device’s location services (Settings – Privacy – Location services). OS Locate is packed with additional features. The ‘Share’ button allows you to connect with friends and family via messaging and social media – let them know where you are, how your adventure is progressing and what time you will be home. Use the handy digital compass to take your bearings – always ensuring you are on the right track. For those who are keen to learn more about maps and navigation, the ‘About’ button hosts a wealth of information including hints and tips and a guide to map reading. In addition, you will find simple yet comprehensive guides on how to use eastings and northings. 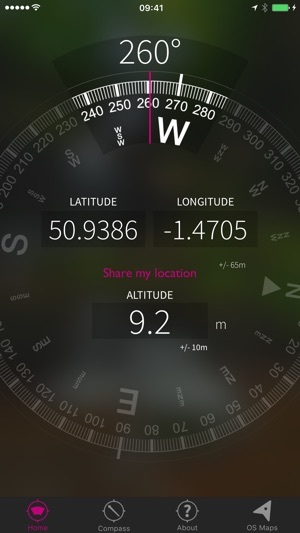 OS Locate – know where you are. 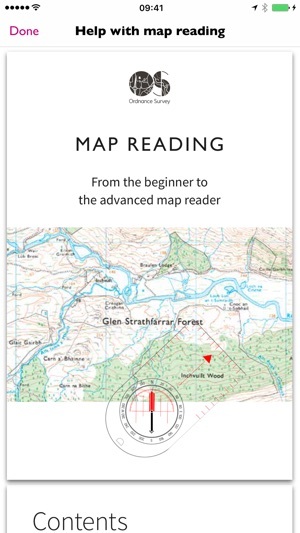 OS Locate is a complementary tool for Ordnance Survey paper maps. 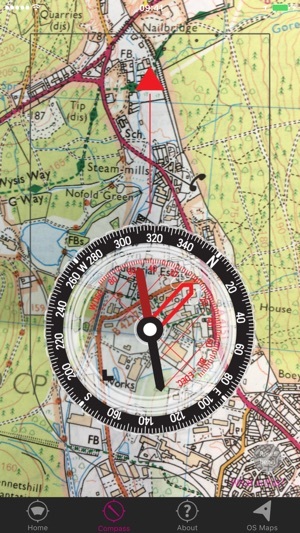 You should always have an Ordnance Survey paper map and baseplate compass when exploring the great outdoors. Please ensure your Location Services are turned on. OS Locate has been updated to provide even greater peace of mind by providing accurate altitude information. As this is taken from the GPS signal, it will always be available. Also new for version 1.1, OS Locate will automatically detect whether you are outside Great Britain, and convert Ordnance Survey’s Northing and Easting location information into internationally recognised Latitude and Longitude readings, which can be used anywhere in the world. Finally, Ordnance Survey has partnered with Silva Compasses to update the virtual compass feature to use Silva’s trademarked design for greater usability. The OS maps app (which I’m a paid subscriber) gives a 10 figure grid reference, this app however stops at 6, which, unless I’m wrong is a potential difference in accuracy of 100 metres! I’m looking for a simple Apple Watch app to display my current location in (BNG) to use in conjunction with my explorer maps whilst out walking. 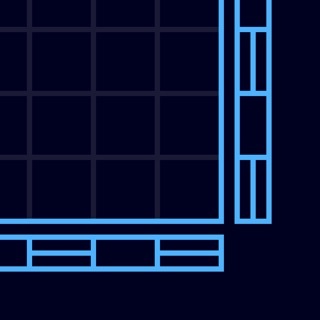 Is there a reason for the difference in accuracy between your two apps? To have a simple display with gps accuracy and grid reference literally ‘to hand’ and be able to leave the phone in the backpack all day would be a godsend. 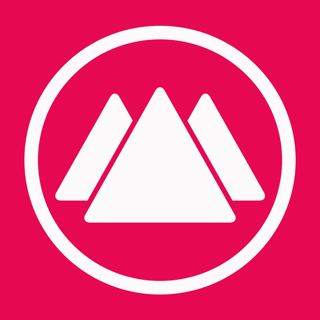 Find your os mapping app invaluable. I used it last on my coast to coast trip from st bees to Robin hoods bay, working well most of the time,I did loose the signal shortly after leaving Kirby stephens in the middle of the wilds, and had wanted to check my grid reference against a paper map which would have helped with location! Would have given higher rating had this not happened. I use my I phone se for mapping. Maybe this was the problem.